Texas A&M University Student Body President Amy Sharp launched the Say Howdy to Health initiative to bridge the gap between students and existing health related resources on campus. 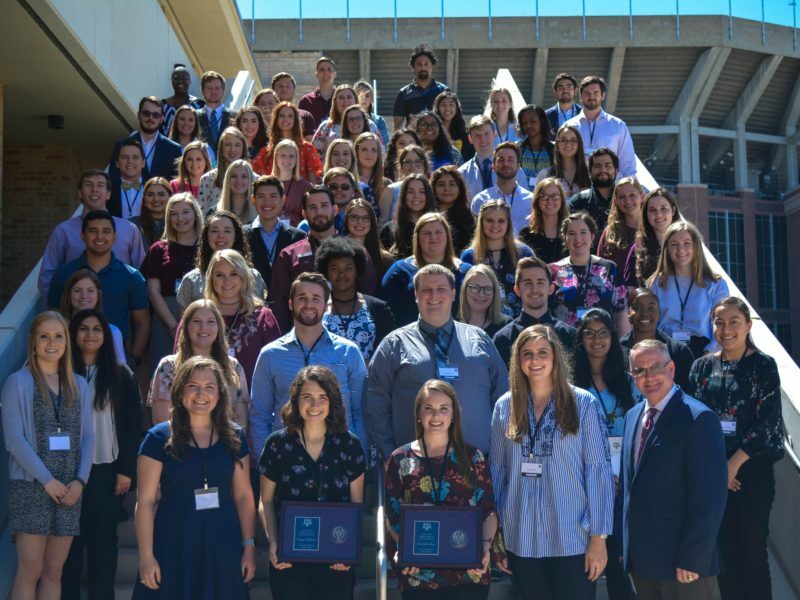 Texas A&M University Student Body President Amy Sharp and her Student Government Association leadership team took the reins of student government this year hoping to make a positive impact that would outlive their time in Aggieland. Their desire to serve at a time when a national dialogue on mental and physical health resulted in Sharp and her team launching the “Say Howdy to Health” initiative this fall, which hopes to bridge the gap between students and existing health related resources on campus. Aggies are famous for giving a hearty “Howdy!” when greeting each other, but the Say Howdy to Health initiative turns the phrase inward to encourage the Texas A&M community to take stock of four phases of health: nutrition, fitness, safety and mental health. In order for the campaign to achieve its goals, Sharp and her team developed an outreach and awareness action plan that will highlight a wide range of Texas A&M services that include dining, counseling, sexual assault awareness and recreation among many others. Dr. Mary Ann Covey, director of Texas A&M’s Student Counseling Services, has been a collaborator on the initiative since Sharp took office and said that more students have sought counseling services than ever before in her 30 years of experience at Texas A&M. Much of the uptick in activity is because the call to improve student health is coming from the students themselves, who can relate to contemporary college life rather than administrators and professionals who might have been out of school for years or decades. Covey also said the Say Howdy to Health’s holistic approach to improving student physical, dietary, mental health and safety is crucial, especially from a mental health perspective. As the initiative grows and evolves, Sharp wants to make sure every student knows one thing will always be true: help is there when you need it. Media contact: Sam Peshek, 979-845-4680, sam.peshek@tamu.edu.